As we've speculated it might, Amazon has announced its own cloud-based media streaming service. 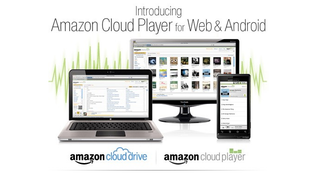 It's called the Amazon Cloud Player and you can start using it right now. It looks like you'll start out with 5 GB of free Cloud Drive storage, but be offered the chance to upgrade to 20 GB with an MP3 album purchase through Amazon. You'll be able to add songs and albums purchased from Amazon, as well as music from your own media library. Plus, documents, photos and video too. Once you've added media to the Cloud Drive, you'll be able to stream it via Amazon's Cloud Player for Web or the Cloud Player for Android app—yes, iOS users appear to be out of luck for now.